French President Emmanuel Macron has pledged reconstruction after a devastating fire ravaged Paris' iconic Notre Dame on Monday. 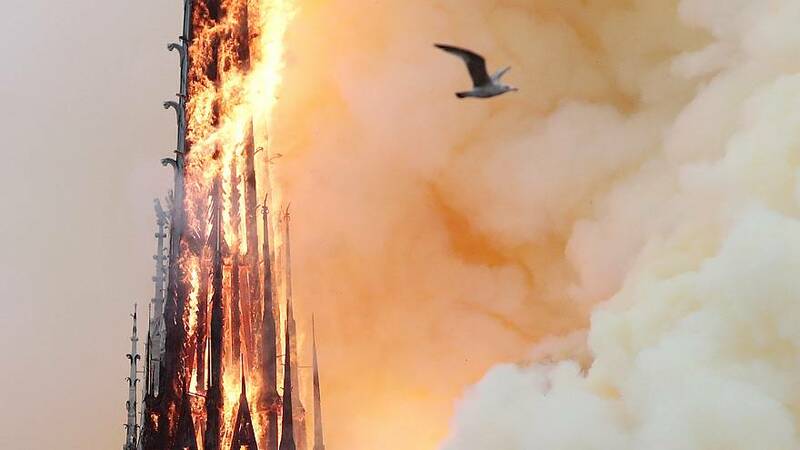 The fire, which burned from Monday evening into Tuesday morning, destroyed the roof and main spire of the church, in addition to interior structures. Macron said Parisians will "rebuild this cathedral together". The reconstruction efforts have already received sizable donations, with some of the highest contributions sitting at €200 million. Leaders from around the world took to social media on Monday night to express condolences to Macron and the French people. An EU ban on pulse fishing has resulted in criticism from Dutch fishermen. The new regulations, approved by the EU in February, are set to be implemented from 2021 onward. Those supporting the ban on pulse fishing argue the technique destroys marine ecosystems. A group of fishermen travelled from the Netherlands to Strasbourg on Tuesday to protest against the new environmental policy. The Dutch fishermen said the change will make fishing "much harder" and will increase their fuel costs. "At least I will not stop dreaming about a better and united Europe,” Tusk said in Strasbourg. Throughout Brexit negotiations, Tusk has remained open to providing the UK with additional time in order to find a deal.